CODE: FS 1075 GIT ACE. BODY FITTING SUPPORT; Anatomical cut and Thunderbike Power Lycra provides light compression. ALL-DAY COMFORT; New GITevo chamois with Anti-shock Twist Gel core. NON-CONSTRICTING GRIP; Soft elastic leg strap with non-slip grip lightly keeps shorts in place. Fit – Anatomical cut to always give you maximum comfort and elastic shaped grippers with non-slip grip on the legs. 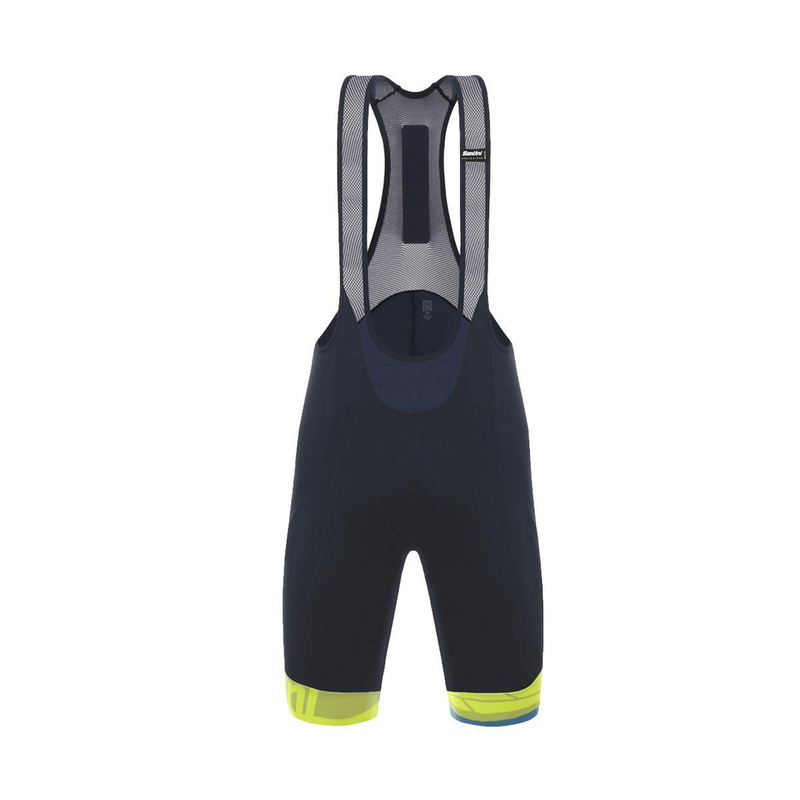 Performance – The Ace bib-shorts are made of Lycra Thunderbike Power that provides a light graduated compression and excellent abrasion resistance for hours of uninterrupted riding. Comfort – Breathable mesh braces and new Anti-shock GITevo chamois with Twist gel core for incredible performance, even over long distances. The soft antibacterial microfibre and the depressions on the top layer offer great fit and complete freedom of movement, while also protecting from chafing and irritation. Durability – The fabrics selected have optimal elastic memory that keeps the garment fitting snugly all the time, just like the first time you ever put it on. The Thunderbike fabric for the central panel is highly durable and guarantees minimal pilling, even after hundreds of rides. Made in Italy by our highly skilled production staff.